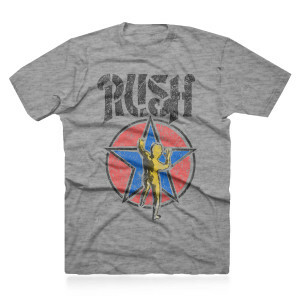 This shirt features a distressed Rush logo and Starman printed in yellow, blue, red and black. 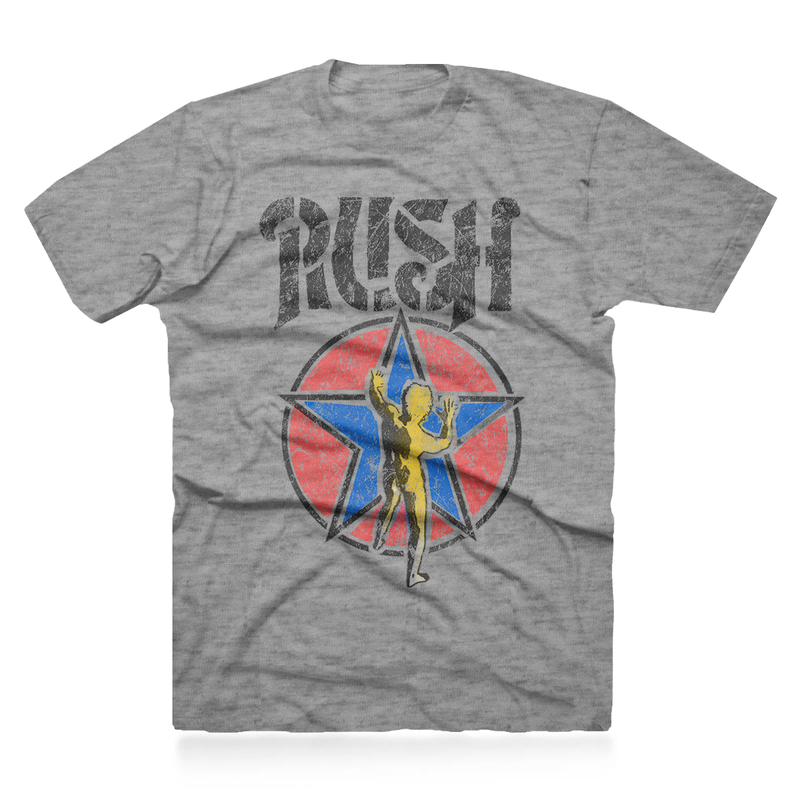 The colors on this shirt are intentionally "faded" to emphasize its vintage style. 90% knit cotton, 10% polyester, printed on heather grey.